How to Use the Car Designer to Build a Fast Car! Start building your car by selecting either a Car Design Plan or a Pre-Cut Car Body. Our Award Winning Car Design Plans include everything you need to cut that car out of your block. Each plan includes design templates and shows every cut with 3D images so you can't make a mistake. They also include weight placement and speed tips. To save time building your car, you might want to select a pre-cut car body. Our pre-cut cars are make fronm Official BSA car blocks. To save even more time, our Lazer and Grey Ghost car bodies are pre-weighted and primed. All you need to do is paint, and insert your axles and wheels! To build the fastest car, you need to minimize friction. Friction between the axles and the wheels is the biggest factor in slowing down your cars. With this tool, you can customize axles and wheels to create your own car with as little friction as possible. Less friction = More speed, and speed is what wins races. When your wheel rubs against the axle head it can cause the wheel to wobble because the corner of the axle head is not a perfect 90 degrees. Cutting a groove directly under the axle head removes this source of wheel wobble, but it is difficult to do by hand. Consider our Grooved Speed Axles that have a groove cut directly under the axle head. The stock BSA "nails" that come in your kit are mass produced. 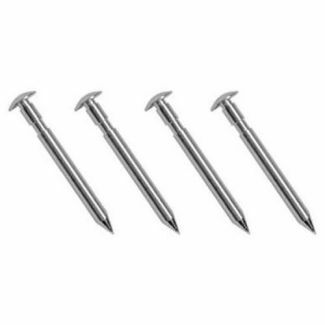 These nails have burrs, crimp marks and can also be crooked, all of which severely limits your car speed. An Axle Polishing Kit and Axle File are essential to fix your axles and increase your car speed. The axle slots that are cut into standard blocks are too tight for your .089" diameter axles. Small axle slots make it difficult to get your axles in straight. A #44 drill bit is .086", which I find too tight. Consider a #43 Drill Bit, which is a perfect match at .089" for a snug fit. Our wheels are precision lathed in 5 different areas to remove imperfections so they are lighter and trued up. Lighter wheels turn require less energy to turn them, which translates into speed. We offer lightly lathed wheels and the faster Ultra-Lite wheels (check your rules!). To get even more speed, we offer both versions in a graphite-coated version, our fastest BSA wheels. Your car races down the track from the force of gravity and it races to the finish line due to inertia. To build the fastest car, you need to maximize weight and balance your weights to get the optimal center of gravity. Choose between Zinc, Tungsten and our new composit Flex Weights that can be cut with a scissors. Tungsten weights are ideal for pinewood derby cars. Tungsten is about 1/3 smaller than zinc that has the same weight. Therefor, you can pack Tungsten weights in a smaller area to optimize your center of gravity to maximize inertia giving you greater speed at the finish gate. Our non-hardening Tungsten Putty is ideal for getting your car up to the maximum 5.0 oz limit. Drill a hole in the bottom of your car and insert Tungsten Putty as the last step to bring your car to 5.0 oz. If the official scale weighs you in at 5.1 oz, simply remove a small amount of putty to bring it back to 5.0 oz. To make the fastest car, you need more than polished axles and lathed wheels. You need to a good lubricant! PRO Graphite or NyOil lubricants is the single most important thing you can do to make your car fast. Our PRO Graphite, with molybdenum disulfide, has helped people win races for over 15 years. Our Track Tests show an average speed increase of 17%. Nyoil is a thin film lubricant that has the advantage of staying on your axles throughout the race, unlike powdered graphite that blows off every time your car goes down the track. 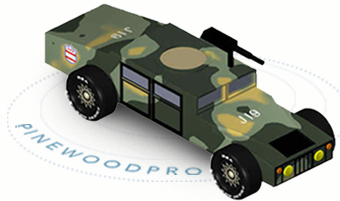 Save time and make your car faster with Pinewood Pro's PRO Tools! Our PRO tools will save you time building your car while helping make your car faster. The PRO Driller, featured here, is just one of our many PRO Tools. The PRO Driller is a versatile tool that helps you drill perfectly straight axle holes, 2.5 degree angled holes and a raised wheel hole. The axle slot on your block has several problems. 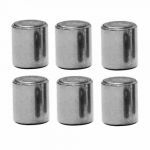 It is too small for your axle, making it very difficult to insert your axle, usually requiring a hammer to get them in. This process inevitably results in your axle going in crooked. Crooked axles make slow cars! And because the slot is so narrow, sometimes the block can crack when you force the axle in. Lastly, the axle slot itself might not be perfectly square to the block, so even if you insert it straight into the slot, if the slot is crooked, your car doesn't roll straight and it will hit the center rail as it goes down the track severely reducing speed. The PRO Driller allows you to re-drill the axle slots, drill new axle holes, or drill axle holes to make an extended wheelbase. Optionally, you can drill a raised wheel hole to make your car even faster. 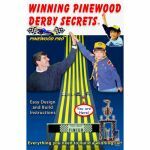 See our Winning Pinewood Derby Secrets book. 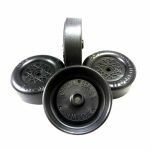 Aside from the PRO Driller, Pinewood Pro offers an exclusive line of Pinewood Derby PRO Tools, like our PRO Axle Inserter Guide, PRO Wheel Spacer, PRO Wheel Bore Polisher and PRO Axle Puller-Inerter that will both save you time and make your car faster. 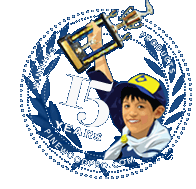 So Go PRO and Go Blue with Pinewood Pro's PRO Tools! Some of the building process is the parts that go into your car, but the rest of the speed lies in the actual building! Our Speed Secrets will help you build your car and give you that extra speed you need to leave your competition in the dust. Winning Pinewood Derby Secrets contains all the tips you need to win your race. Updated annually with the latest tips and speed products, our book has proven results with 1000's of winners but don't take our word for it! Read over 100 Customer Reviews and check out our Winners Gallery! Outiside of adding graphite to your axles, reading this book is the best thing you can do! Have fun choosing a cool car design and don't worry, the car design does not affect speed! Our car design plans include 3D illustrations showing each cut step-by-step, so you can't make a mistake. Speed tips, tool tips, safety tips, time-saving tips, etc. 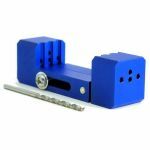 Select your Speed Axles> and watch the speed gauge needle move. Choose axles based on speed and your race rules. Select your Precision Tuned Wheels> and watch the speed gauge needle move. Choose wheels based on performance and your race rules. Select a Lubricant and watch the Speed Gauge needle move. Lubricating your axles are the single most important way to reduce friction. Our PRO Dry powdered graphite is allowed in all races that allow graphite lubricants. NyOil is a thin film lubricant that can be used instead of graphite. Weights are essential for racing. Tungsten is the best weights so they move the Speed Gauge further while all other weights move the Speed Gauge equally. Be sure your car is fully weighted to get the maximum velocity as it exits the ramps onto the flat part. Weights come in many styles. Select based on your car syle. Also consider placement for optimal center of gravity. Tungsten is the densist weight so you can pack more in a smaller space. PRO Tools help you build your car faster while avoiding mistakes and making it finely tuned so you have the fastest car possible. 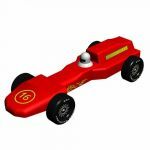 Winning Pinewood Derby Secrets tells you ALL the secrets you need to build a fast, winning car. Outiside of adding graphite to your axles, reading this book is the best thing you can do to build a winning car!